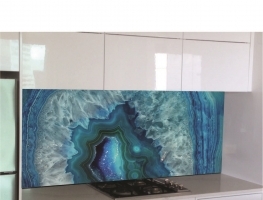 Custom Prints on Glass Kitchen Splashbacks are the latest innovation and trend in glass splashback and backsplash technology. 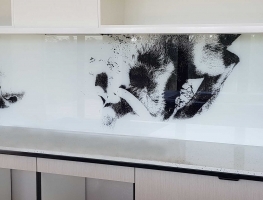 Using the latest state of the art printing technology and printing directly onto the glass you can create a truly unique feature with a digitally printed image or design using your own image or purchase a file online. 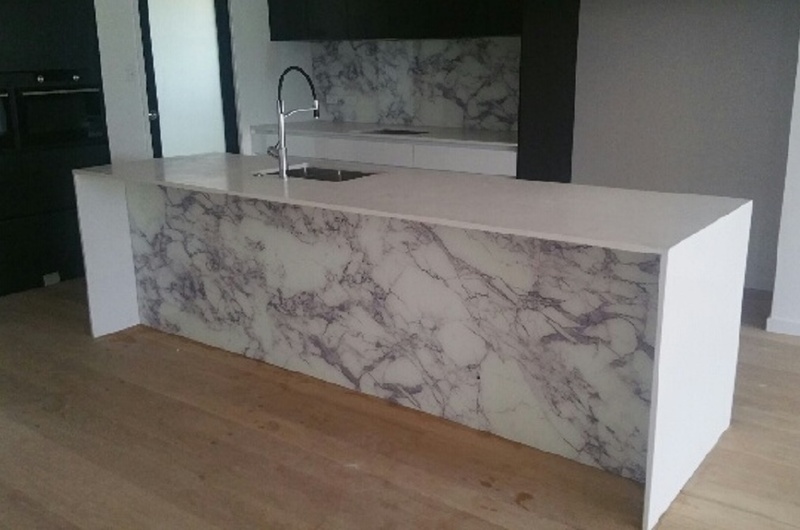 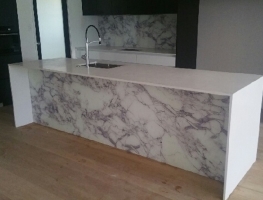 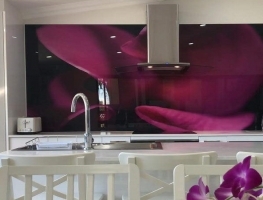 The glass splashbacks are proving popular both residential & commercial with some very spectacular results. 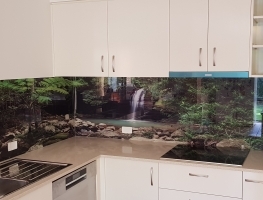 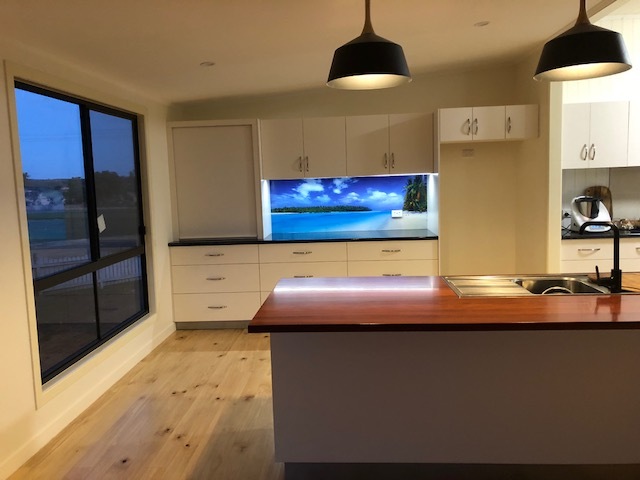 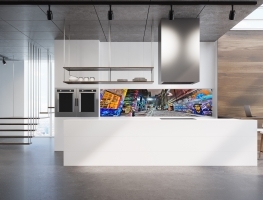 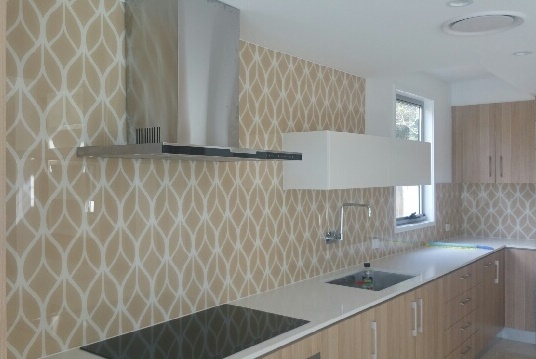 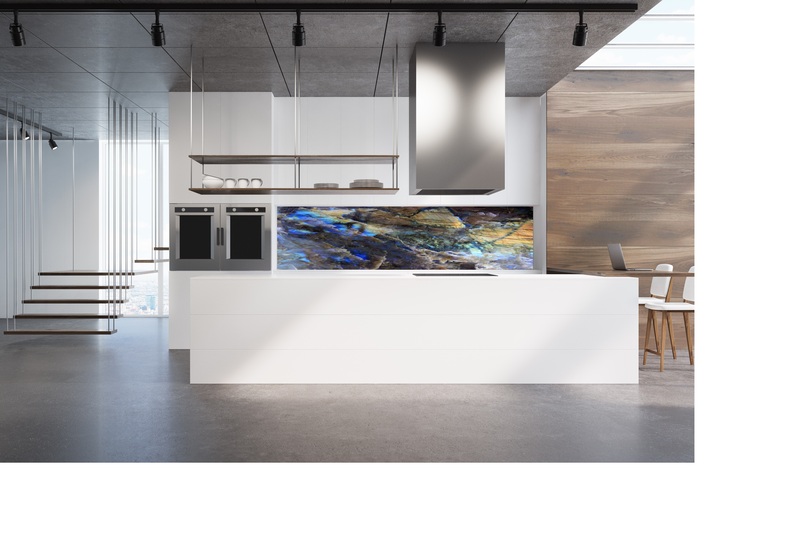 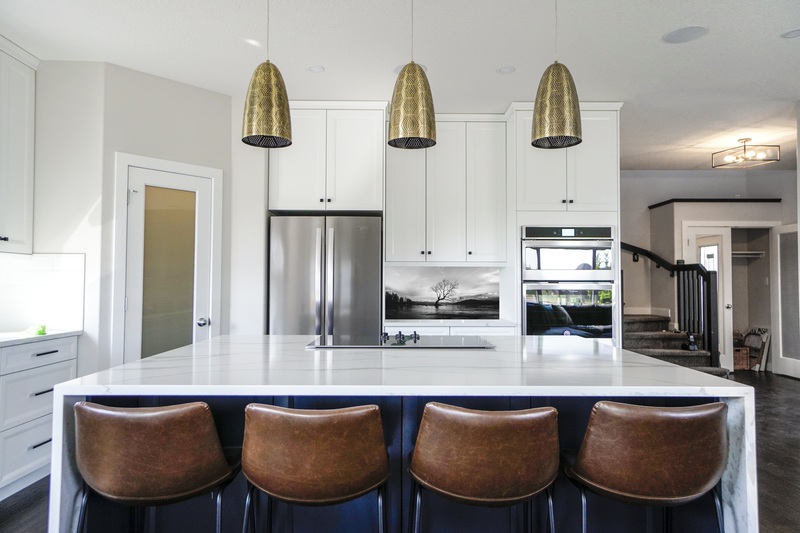 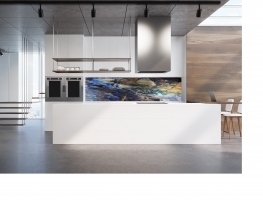 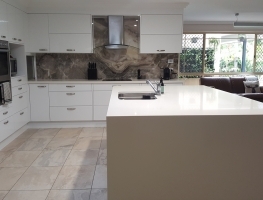 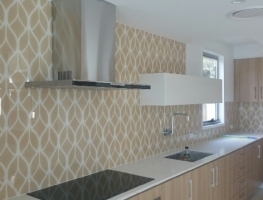 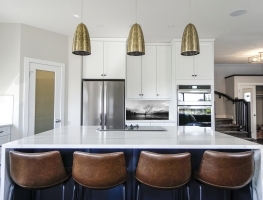 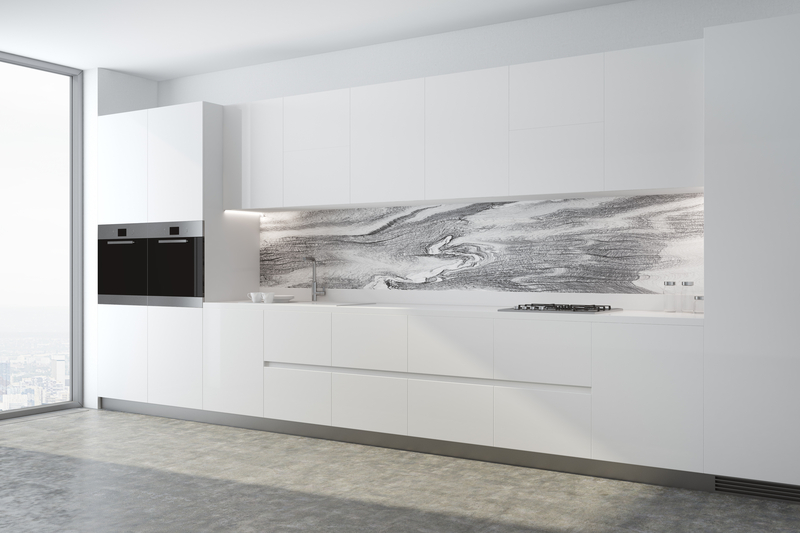 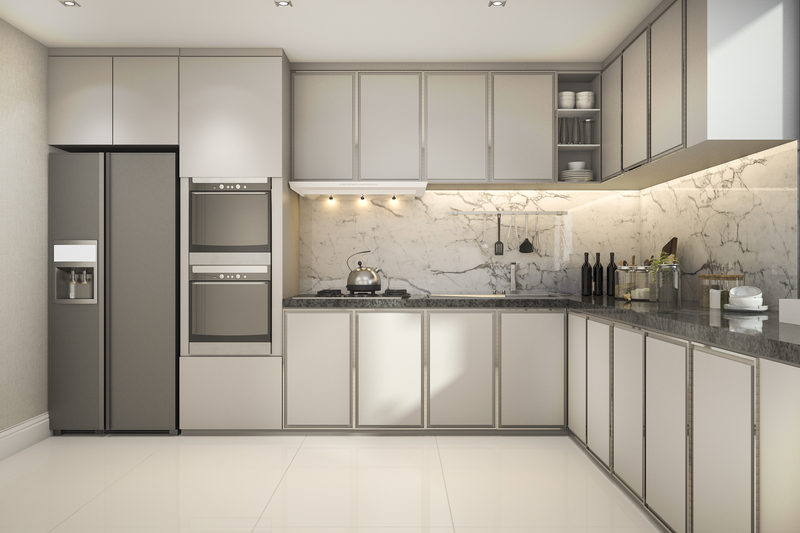 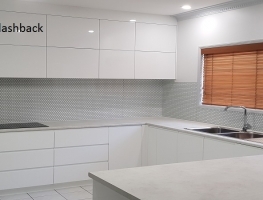 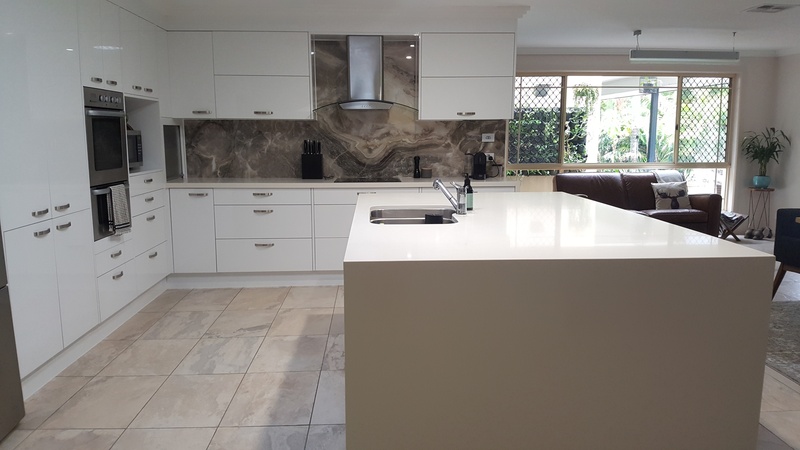 Modern kitchen designs & kitchen renovations are embracing prints on glass kitchen splashbacks over traditional methods of ceramic tiles, mosaic tiles or stainless steel. 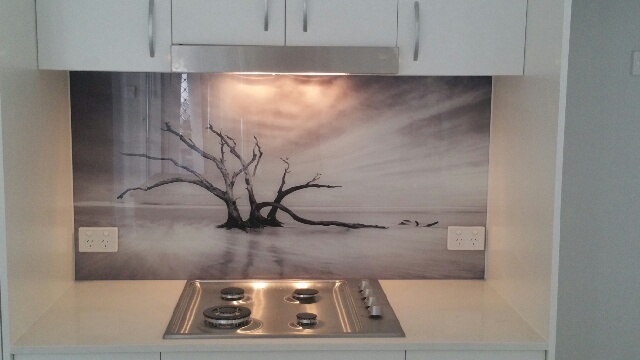 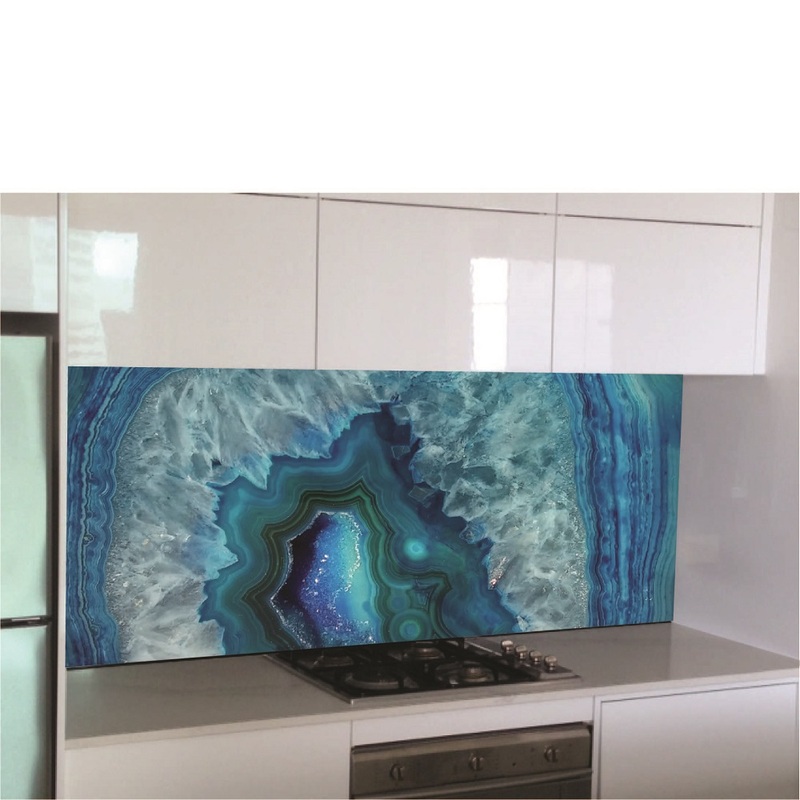 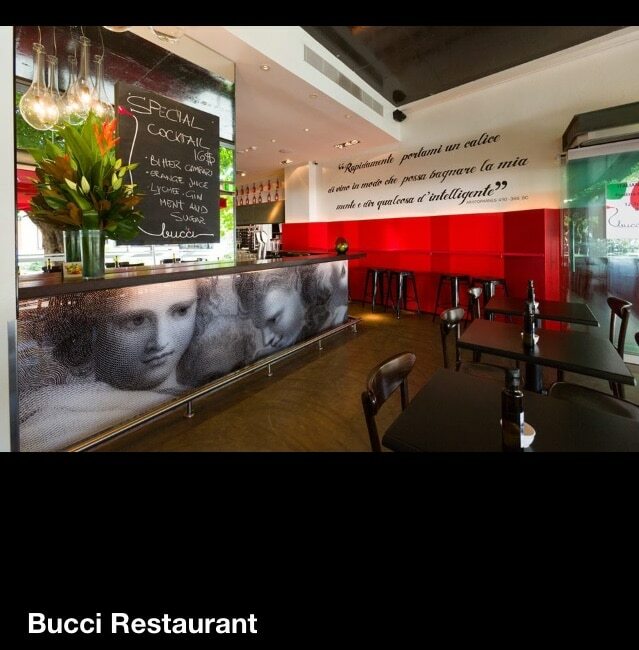 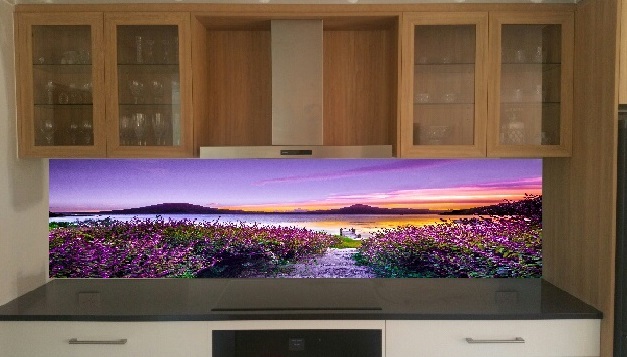 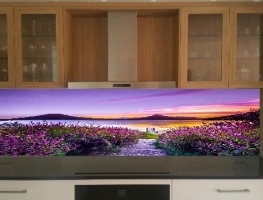 Graphic Glass Services carries out all digital printing for Graphic Glass Services splashbacks. 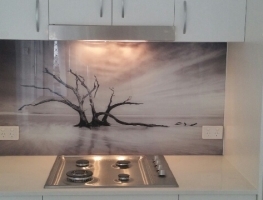 Graphic Glass Services has the latest state of the art UV Cured Large Format Digital Printer in Brisbane with a print bed size of 3700 long x 1800 wide. 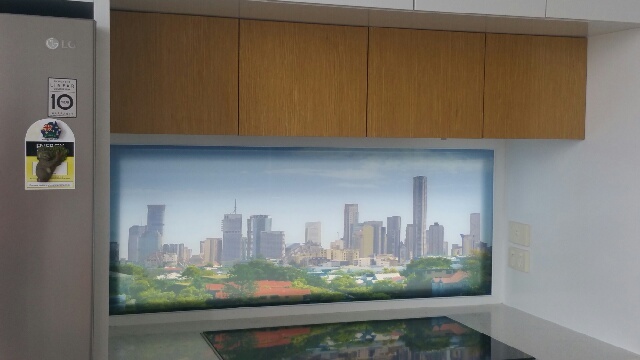 This printer can print on Glass, Aluminium Composite, Plywood, MDF, Ceramic & Porcelain Tiles also offering a raised textured feel if required. 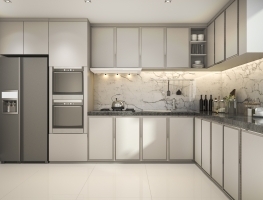 To explore this newest trend contact our office and talk to us to see how easy it can be. 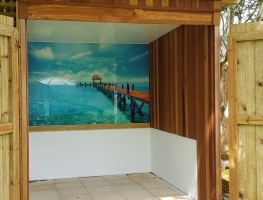 Websites we use and recommend for image files include: iStock and Shutterstock. 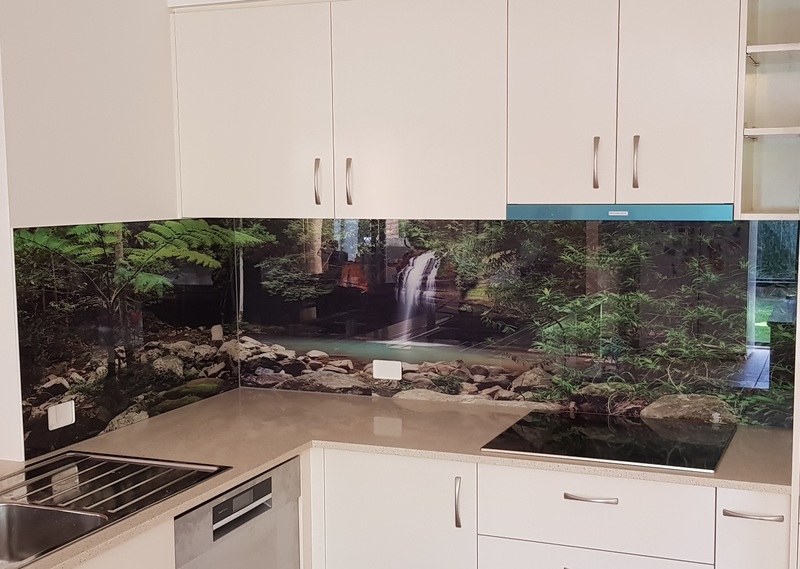 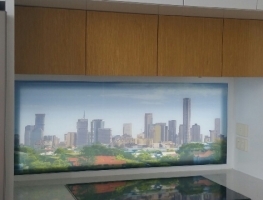 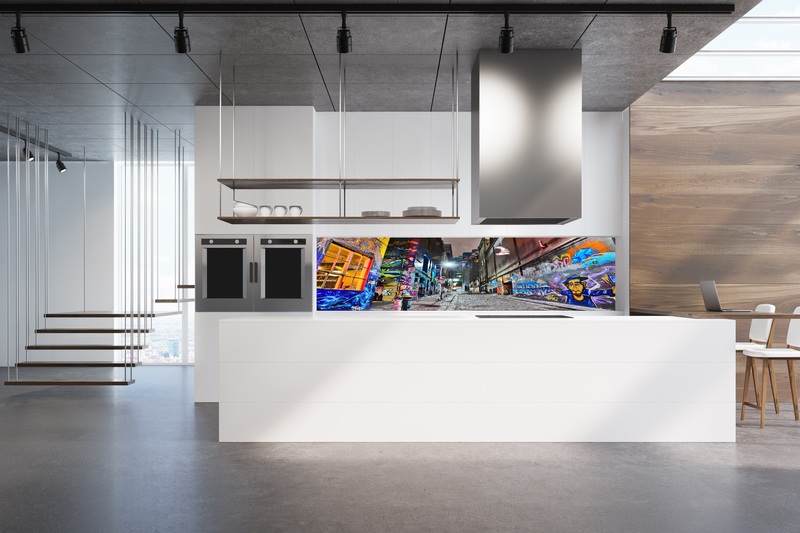 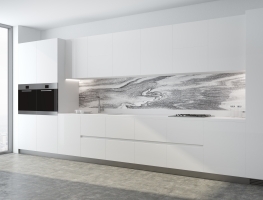 Custom Prints to glass are not only limited to splashbacks, we can also transform your Aluminium Sliding Robe Doors with the inclusion of Digitally Printed Glass Panels. 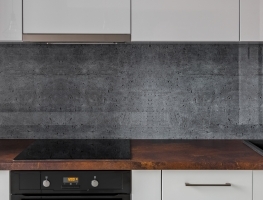 Written Warranty available on request.